Founded in 1863, Jaipur Jewels holds a rich heritage of transforming jewels into precious masterpieces of art to articulate a personality of luxury, elegance and beauty. 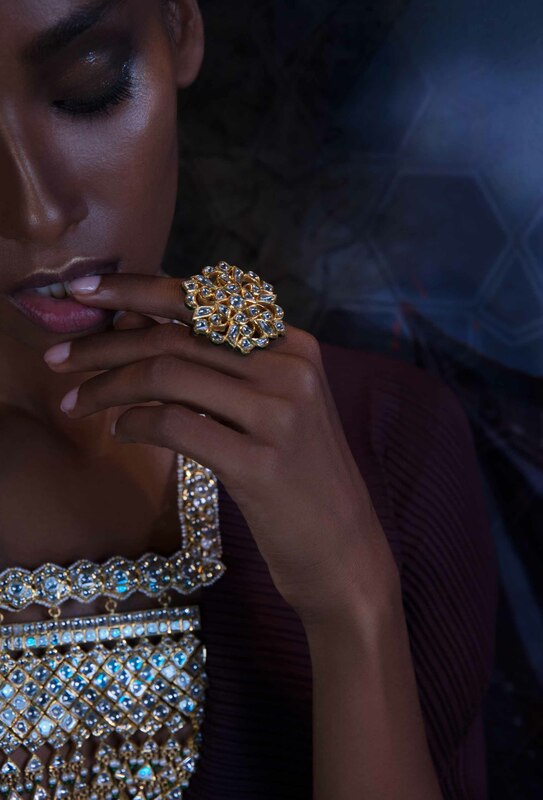 Through intricate designs and painstaking craftsmanship, Jaipur Jewels fulfils exclusive bespoke services for their clients’ desires, right down to the very minute details. Each piece is designed to be the pride of its possessor. This festive season, Jaipur Jewels returns with its new collection, ‘Cursive’. Not merely a style of writing, Cursive is a distinct form of self-expression and beauty. With its graceful and delicate lines, this collection is similarly inspired, as it showcases ingenious pieces that have been crafted with great care. The designs are perfect combinations of contemporary and statement ornaments, ranging from necklaces and earrings to bangles and rings. Each piece is embedded with classic jewels of polkis, rubies and emeralds encrusted in gold, which reflect royalty and sheer opulence. The collection also consists of curated neck pieces which include tevta, paihaars, dasti and gulbandhs that are a perfect choice for the season. Reviving the traditional chandbalis for the more experimental woman, the brand introduces matte gold pink versions studded with rich polkis in lotus enamelling with dramatic detailing. The collection also includes pachelis, dasti, ghooghri and gajras along with the brand’s signature sankhla that can complement any contemporary look. While each piece has an identity with its swirls and flounces, they are modern enough for today’s woman. This inspiration has manifested itself into jewellery as though each piece is a love letter or poetry, penned down with the most glorious gemstones, tradition, compassion and love.